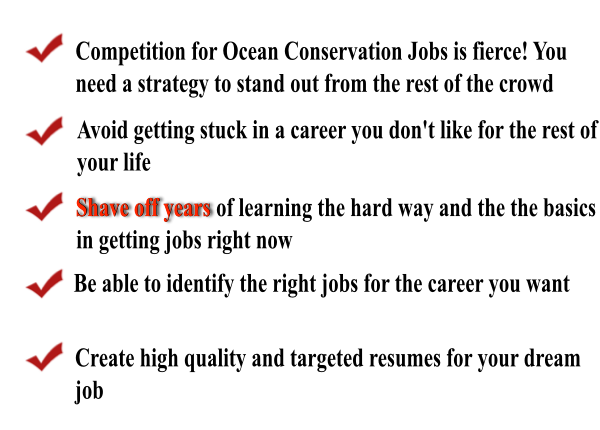 Having trouble finding a job in Ocean Conservation? This membership training program will get you closer to getting that first job in the field you want and, more importantly, build a career in Ocean Conservation. Ocean Conservation Careers will help you take the mystery out of applying for jobs by showing you a system you can implement into your job searching and application strategy right away. 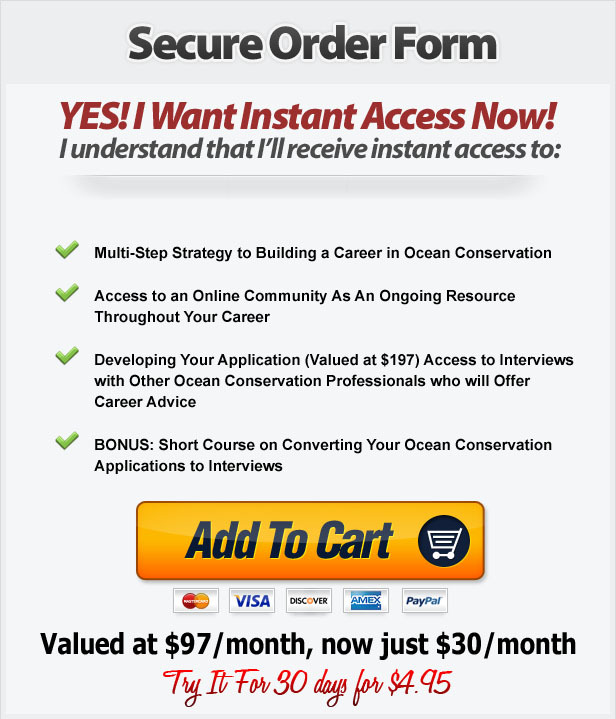 This multi-step system will increase your chances to get interviews; build profesional networks online and offline to give you an inside scoop on jobs; and, offer a place via a community where you can connect with other people in Ocean Conservation who are just like you. This online community will be an amazing resource for you in the future as fellow members will be able to support one another in the career building aspirations. How to focus on searching for jobs that will provide you with the career you want! How to identify the right jobs that fit your skill set, experience, and passion! How to create an irresistible cover letter! How to conduct an interview where the hiring manager will want to hire you on the spot! How to apply for the most suitable jobs for the career that most interestes you! How to make sure hiring managers notice your application compared to the hundreds of other applicants! How to set yourself up for your dream jobs! There is no other membership program like this on the web. 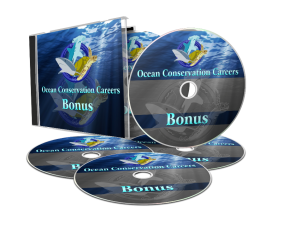 This program provides you with three crucial components to building a top notch career in Ocean Conservation: 1) It presents a multi-step strategy that will get your career off the ground; 2) Gives you access to a Private Community, which provides you with the opportunity to ask specific questions on your career to me and other members of the program; and, 3) Access to interviews with Ocean Conservation Professionals who want to share their experiences, successes, and failures while they built there Ocean Conservation Career. You can try the membership program for as little as $30/month. To make sure that this program is for you, you can try this program out for 30 days for only $1!! !